Wireless routers are almost everywhere these days as every apartment, house, business and park down the river will have a wi-fi connection. It is through a functional wireless router that you can effortlessly connect your computer with the broadband internet service and thereby be able to share data files and also stream media. 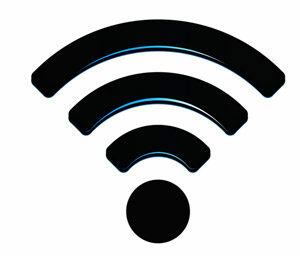 Having a wireless router in your home is the best way to get access to the internet using your tablet and smartphone. In case you’re a novice when it comes to buying wi-fi routers, here is a small guide to help you get the best router and the most appropriate one. First is definitely a no-brainer and whenever you get a wi-fi router for yourself, make sure it offers 802.11ac or Gigabit support for wi-fi. Even when it is at the base level, 802.11ac will offer 1300 Mbps of output which is much faster than the maximum previous standard that was there, the 802.11n. It is also compatible with few older devices. You may not be having devices which can take advantage of the speed but you will later on have. Due to the huge demand of getting the 802.11ac routers in the market, the particular type which make short work of 4k streaming video, you may have ended up testing a dozen of best wifi routers in the market. Even when you have the best router, the underlying results may vary. The devices which you’re using and the network can also have an impact on the performance. Always go through product reviews before settling down on one and get a router changed whenever you don’t like the results. Last but not the least, the placement of the wi-fi router also plays an important role. In case you stay in a 1-room apartment, placing the wi-fi router won’t be a great deal but in most houses, the exact spot for setting up the routers can set an impact on the performance of the router. The manufacturers of such wi-fi routers know this and this may be one of the reasons behind Google OnHub and other companies having some of the most pleasing designs with small footprints. Unless the router looks too ugly, keep it in a proper place. Know more about internet of things here.